Sarnia-Lambton MPP Bob Bailey says he wants to hear what the public has to say before he supports a proposal to allow the legal hunting of double-crested cormorants. The Ford government has opened public consultations on allowing a nine-month hunting season on the fish-eating birds, which are often seen on Sarnia’s waterfront. It would reclassify cormorants as a “game bird” and allow hunters with an outdoors card and small game licence to shoot up to 50 a day, with no possession limit. Another provision, if approved, would allows hunters to “spoil” the birds, leaving them to rot where they are shot, something not permitted with other game birds. Bailey said the proposed changes goes far beyond the private members bill he tabled in 2016, which would have declassified cormorants as a protected species under the Fish and Wildlife Conservation Act. That bill, which received second reading but didn’t pass, drew harsh criticism from environmental groups who argued it would lead to a wholesale slaughter. Bailey said there is merit to controlling cormorants because many local anglers regard them as a threat to fish populations. 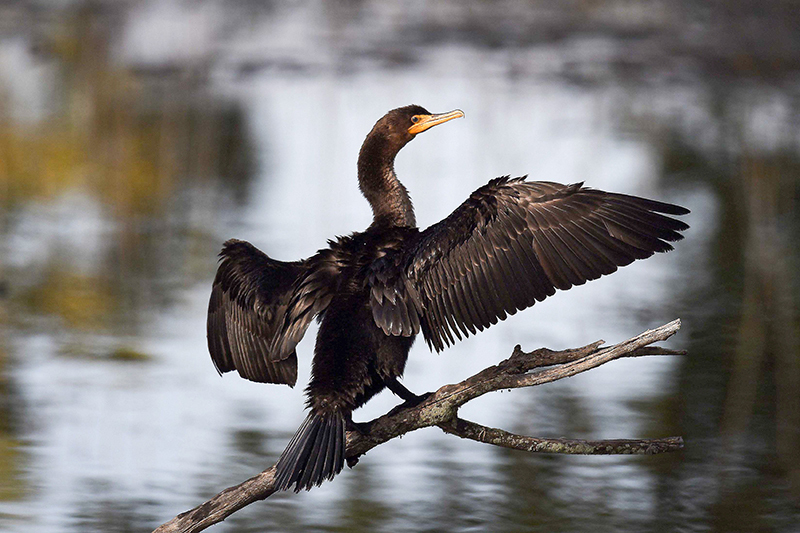 Double-crested cormorants are a native migratory bird about the size of a small goose. They nest on the Great Lakes, winter in the southern U.S. and feed exclusively on fish. AnnaMaria Valastro of the Peaceful Parks Coalition, who opposed Bailey’s bill in 2016, called the new proposal deliberately cruel. “We oppose the proposed open season on double-crested cormorants because it is politically motivated to appease angry sport hunters and commercial fishers who view cormorants as competitors for fisheries,” she told The Journal. Giving hunters an open season could once again threaten the viability of a once rare bird, Valastro said, and blaming cormorants for habitat damage isn’t grounded in science or an understanding of ecology. “Cormorants are part of the ecosystem so they don’t cause ecological damage, any more than do trees by growing up where there was once a meadow,” she said.